Brendan “Irish” Moriarty was born in Ballylongford, County Kerry, Ireland on May 1, 1931. He attended St. Joseph’s Missionary College in Marino, Dublin, Ireland where he received his high school diploma in 1948. After graduating from high school he struggled with deciding between entering the priesthood or attending Oxford on a full scholarship. 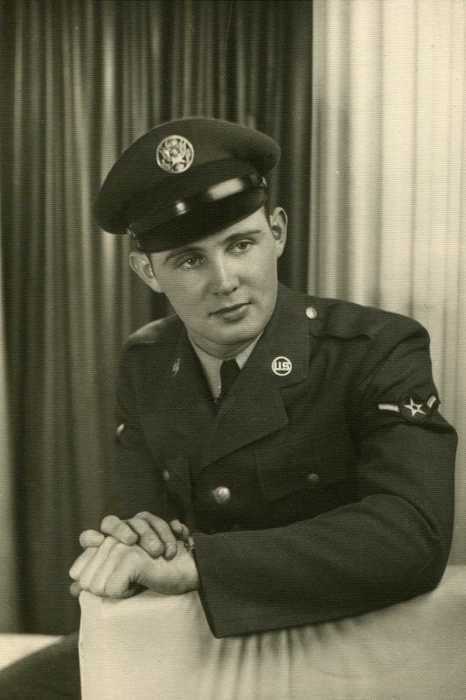 After much soul searching, he changed course, and in September 1949, he left Shannon Airport, made his way across the pond, and settled in Chicago, Illinois where he landed a job as an elevator operator in an upscale hotel until 1951 at which time he enlisted in the U.S. Air Force. While in the Air Force, he completed a 12-month tour of duty near Seoul, Korea from November 1952 to 1953. In 1953, he joined the 761st A.C. & W. Squadron in North Bend, Oregon. He was awarded the commendation ribbon and medal for meritorious achievement. The citation was for his design and installation of a practical remote control selector for UHF radio equipment, which was installed at all A. C. & W sites in the 25th Air Defense Command in April 1954. The remote selector increased the operational efficiency and greatly expanded air/ground communication potential of the squadron. The unit was expanded to other Air Force installations and commercial air/ground control applications. While stationed in North Bend, Oregon, he met a beautiful lass, LoEll Hipfner, at The Spot, a favorite beach of the young folks near Coos Bay, Oregon, in 1954. They were married in September 1955. He got a job as an Electronics Technician at Bay Television in Coos Bay after his discharge from the Air Force. He and his bride started a family shortly thereafter. While on a repair call at the North Bend airport, he went above and beyond, fixing a radio he overheard someone say was not working. This led to a 30-year career with the Federal Aviation Administration (FAA) starting in 1960. During his years with FAA, he held numerous positions in Oregon, Alaska, and Washington. Due to the government security sensitivity of his work, he was not like other’s husbands and fathers that came home and shared their day with his family. He quickly developed a reputation of being able to fix anything, which led to him being called upon to go to the White Alice Communications System, a top security site constructed during the Cold War, to fix radio equipment used by the Air Force for Aircraft Control Warning, Distant Early Warning Line and Ballistic Missile Early Warning System. After four years in Alaska, he transferred to the FAA Northwest Region. He retired in 1989, but quickly decided early retirement was not for him. He returned to work as a Senior Electronic Technician/Consultant at Raytheon Service Company under an FAA contract. During this time, he assisted in developing a layout plan for NAVAIDS and communications control and monitoring equipment for the Air Traffic Control Tower at the new Denver Airport, still used today. In 1995, he retired for a second time. Upon retirement, he joined the Citizen’s Police Academy which is a program designed to acquaint individuals who are not sworn police officers with the activities of their local police department. While in the program he participated in a couple of ride-alongs where he was able to see first-hand a day in a life of a police officer. 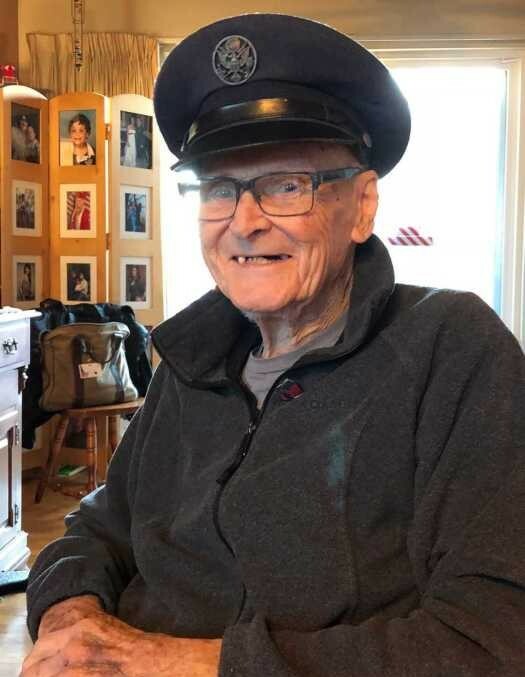 Besides gardening, one of his favorite pass times in retirement was sharing military and aviation experiences with two of the neighbors, Max Fisk and Jack Harding. They would shoot the breeze for hours and share jokes; often what some might consider inappropriate in mixed company. Brendan had a long love affair with soccer as a player, coach, referee and spectator. He spoke three languages; English, Gaelic and Latin. He had a brilliant mind especially when it came to math. He could quickly calculate complex equations in his head. This often was the source of frustration for all when he helped with homework as he had a habit of resorting to Gaelic. He talked to everyone and made friends everywhere he went. His favorite sayings were “It will be better by the time you get married” or “You can laugh, or you can cry. I choose to laugh”. He always had an encouraging word and smile. This past Veterans’ Day, Brendan was honored by Sen. Adam Smith and Kindred Hospice Seattle for his exemplary model of American values and ideals. In a ceremony, he was given special honors for his military service, for advancing the universal hope of freedom and liberty for all, and over three decades of continued service to this country. 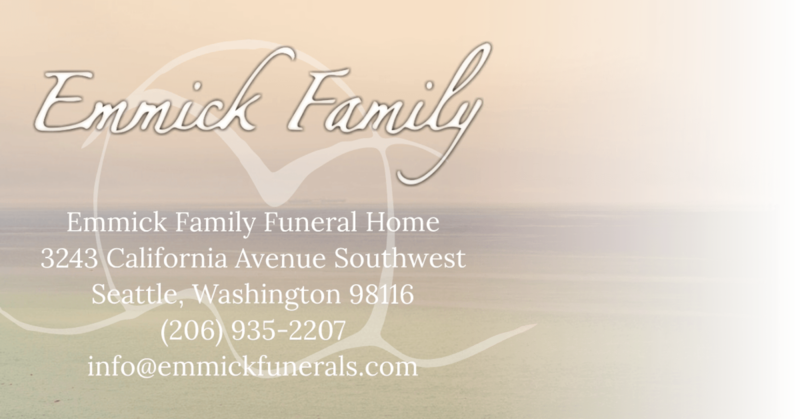 Brendan was a son, brother, husband, father, grandfather and great grandfather. He believed in helping people in need and being an active member in his community. His engagement in the community earned him the respect of all those that had the privilege of knowing him. He will be dearly missed, but forever in our hearts. Please Share memories of "Irish" on the tribute page located above.